Home News GUEST EDITORIAL: Is Society Too Demanding When it Comes to Urbanity? GUEST EDITORIAL: Is Society Too Demanding When it Comes to Urbanity? As new cities and neighborhoods emerge these days, with tall buildings and structures, one can’t help but notice and say that urbanity is indeed here. Urbanity principles are also said to be applicable to any land projects from a single building to an entire city. More so, in urban planning debates, the concept of urbanity is always present but only to the visions of governments, architects, landowners and developers. But what is urbanity in its truest sense? And if defined, does it clearly serve its purpose, or does it give a meaning different from what we expect? And if people understood urbanity, will they be totally sold out to the idea, or will they contest it? People, who strongly support the idea of urbanity, bank on its benefits to the people who might reside or work in an urban setting. 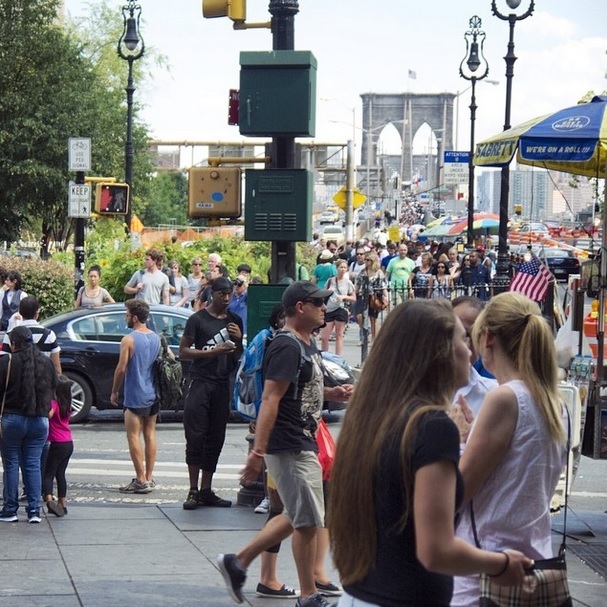 In fact, Congress for the New Urbanism details four primary benefits of urbanism. For people who will reside or work in urban cities, it means being able to achieve a higher quality of life including improved living places and improved building and property architecture such as a condo; work and play included. Property lands are valued higher, yet are more stable. Experts highlight the idea of being close to everything that you need. Residents are able to feel safe and secure thanks to pedestrian-friendly sites and reduced transportation costs since you can simply take a walk or have a short ride to your destination anywhere in the city. It also includes additional benefits to businesses, focusing on increased sales and revenues. It also drives loyal customers living in the city itself, and better lifestyle for business owners by having spaces above their stores also known as live-work units. Developers also have reasons to be happy for urban cities. Communities will be able to adopt smart growth principles which in turn can save more money and time. A higher density mixed-use land project can also generate a greater income potential thanks to more leasable square footage of land, high selling prices, and high property values. Municipalities embracing the idea of urbanity will benefit as well, with less crime rates due to enhanced security and presence of more people at day time and night time. Compact and high-density projects will allow governments to spend less on infrastructure and utilities, compared to a suburban development. Looking on the other side of urbanity, those who are against it point out several factors why urbanity does not work at all. In one case, urban areas experience more traffic congestion with the increased growth rate of its population. Also, there are new urban developments that just aren’t for everyone; say for those who want wider spaces in their condominiums, people living in close proximity to each other thus providing small living spaces pose a problem. Even though pro-urbanists will say that their innovative structures are adapting through the needs of time, anti-urbanists will be more skeptical of it and instead pose more questions on what those structures can do for them based on their preferences. And the stronger opposition comes from the idea of affordable spaces in these urban cities. Searching for good places is harder because of high prices especially for those lands near shopping malls, parks, schools, etc. Anthony Flint, in his article, ‘A Tipping Point—But Now the Hard Part‘ talks about the increasing demand for alternatives due to high prices. In Little Elm, Texas, homes are priced starting at $100,000. Add to it heating and cooling bills for large homes which greatly affects a family’s budget. The Hard or Easy Way for Urbanity? There are certain ideas that are totally applicable to urban cities, but some can’t be implemented due to certain factors. Skyscrapers are also included in urban planning and land development. But certain cities in the U.S. can’t build skyscrapers that are too tall and too thin or what they call “superskinnies”, because of land availability. According to architect Gordon Gill, together with his firm Adrian Smith+Gordon Gill, there are some places where superskinnies are not possible. “We cut slots, we punch holes, we create notches in the corners of the buildings to mitigate the effects of wind, on tall and thin buildings alike. But there are some places where superskinnies will just never go. No matter how pitched income inequality comes to be in San Francisco, these towers will never rise there. For areas that are seismic, the slenderer buildings are not advisable,” Gill says. Pro-urbanists will also push the idea that green architecture has impacts on energy use and sustainability trends are here to stay. And the anti-urbanists will continue to look for loopholes on their arguments. The decision of embracing the idea of urbanity lies on the people itself, and how they will see their roles in it. It might be hard for some, but still others will be comfortable in living in an urban setting. Certain improvements need to be in place, such as government policies, improved infrastructure and living spaces. With all of these factors in place, people might be possibly united in the concept of urbanity. Kimberly Grimms describes herself as a futurist and is a writer for Social Media Today. She studied Community Development and currently resides in New Jersey. You can follow and interact with her on Twitter @KimberlyGrimms.